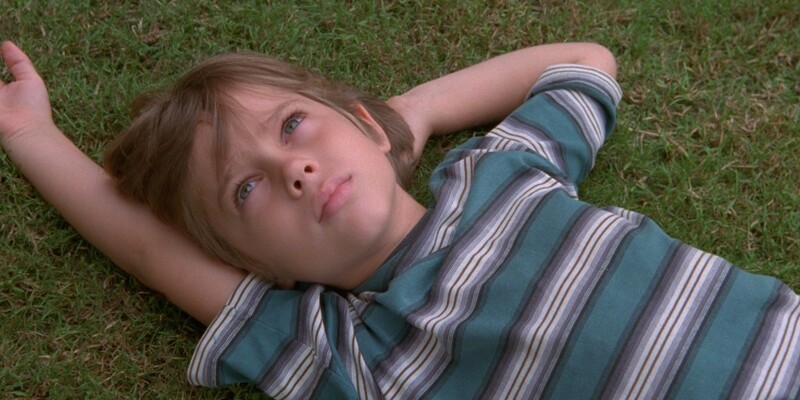 I saw Boyhood this past weekend and loved it. I loved it for the same reason I loved The Tree of Life: it was a meditation on all the moments that, in sum, make up a life, and it presented the most mundane situations with a simplicity, tenderness, and unaffectedness that rendered them poetic. There were hardships—parental alcoholism, divorce, uprooting and moving to an unfamiliar new town—but nothing like the struggles we’ve come to expect of movies that feature black characters. The Help. Fruitvale Station. 12 Years a Slave. All important movies, for sure, but what if black characters were afforded opportunities to self-realize and experience “normal” challenges in ways that are mostly reserved for whites in films? What would that look like? And how odd would it sound to audiences so used to seeing white people in these roles? Boyhood. A young black male, Otis Kennedy, suffers through the pain of his parents’ divorce. Visiting his father often enough to learn the ins and outs of camping trips and bowling alleys, he continues his self-discovery through manhood and into college, where he experiences an enlightened drug trip while hiking in Big Bend State Park, Texas. Eternal Sunshine of the Spotless Mind. Alvin Rogers is bent on escaping the memory of Loretta Smith, his ex-girlfriend. He enlists the services of Lacuna, Inc., who promise to erase all recollections of his painful relationship. When he decides he no longer wants to go through with it, he must race against science and memory fragments to reconnect with Loretta, his true love. Her. In 2025, Devon Williams, an introvert whose job is to write personal letters for those incapable of expressing deep emotion, purchases “Clarice”, an artificially intelligent girlfriend. Eventually learning that her love interests include 641 other people, Devon goes to his roof to watch the sunrise with his good friend, Eileen. Angel Heart. Mark Brown, a private investigator, is hired by enigma Louis Cyphre to track down a singer, Johnny Favorite. Mark’s travels take him to the clinic where Johnny was last seen, Johnny’s former lover, and Johnny’s former musician friend, Toots Sweet. What Mark finds out about Johnny, and himself, causes a revelation of identity and terror. High Fidelity. Ronnie Washington, who owns a record store, recounts various breakups, attempting to find out what went wrong with each one. His fun-loving, oddball co-workers, Andre Youngblood and Ronald Jackson, spout obscure music trivia as Ronnie tries to win back an ex, Ruby. Winter’s Bone. Seventeen-year-old Rhianna Davis is the head of her family, who live in the rural Ozarks. To protect them, she embarks on a mission to find her father, who put the house up for collateral to pay his bail and has gone missing. Knowing he’s involved with the local crystal meth scene, she questions shady characters, only to find herself in dangerous situations with no answers. Not believing her father’s been killed, she continues her perilous search until she finds out the truth. Perhaps Winter’s Bone, with its underprivileged characters, absent father, and drug motif, is the closest this brief list comes to what black actors are usually offered in the way of mainstream roles. In the year 2014, there has to be more. Think of our most beloved characters from cinema. Can you imagine if Willy Wonka had been black? How about a black Tyler Durden, or Jack Sparrow, or Jessica Rabbit? Where all the fun, non-stereotypical characters at?